For those who want to test their skills as a freestyler and try an adrenaline rush, Paganella Ski, in cooperation with SlopeDesign, offers the Dosson Snowpark, easily accessible by the 8 seats gondola Andalo - Doss Pela. Tha park has a new reserved tapis roulant (100m) and 15 structures. 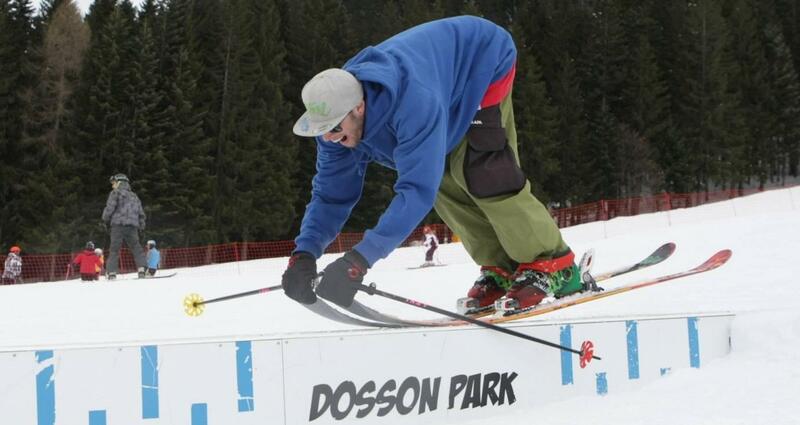 The snow park, divided into an easy area for beginners and expert area for snowboarders, offers facilities for all levels. The strategic location, close to the new restaurant Dosson, is a perfect location to get together with friends and to relax on the mountain. Stay tuned on the Dosson Park Facebook Page!